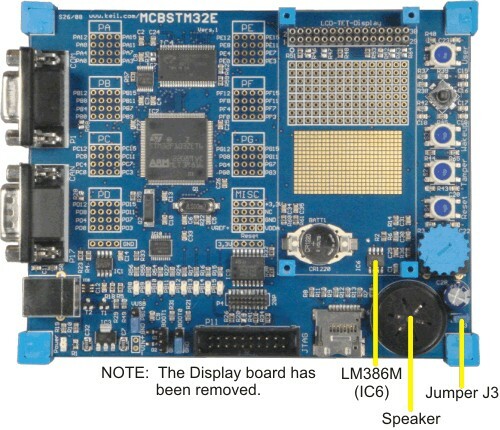 The MCBSTM32E board includes a speaker controlled by the output of the on-chip D/A converter. The LM386M low voltage power amplifier (IC6) amplifies the D/A output to drive the speaker. Jumper J3 connects the D/A output (Port A, pin 4) to the input of the LM386M amplifier. Removing this jumper disables the speaker.